Old soul practitioners who are still alive, well and touring are getting mighty scarce these days. In the last few years, we’ve lost Aretha, Sharon Jones and Charles Bradley, to name a few. That leaves Al Green, Aaron Neville, Mavis Staples and …. Lee Fields, plus some others, to keep that gritty spark alive, at least for those artists fortunate enough to be exposed to the raw, roots testifying of icons like Otis Redding, James Brown, Curtis Mayfield, and Wilson Pickett first hand. Fields is trying his hardest to meet that high bar. This is his sixth album of predominantly originals in the past nine years, all of which keep the classic-soul flame burning. While other younger acts like Eli “Paperboy” Reed and Durand Jones & the Indications are working a similar vibe, there is nothing like hearing this music from someone who lived and breathed it in its heyday. And at a relatively spry 68 years old, here’s hoping there’s more to come. These 10 tracks are originals that seem to have been written and recorded 50 years ago. Fields’ raspy voice finds the nooks and crannies of this music, bringing an authentic R&B-soaked, horn-enhanced vibe you might have heard blasting from your AM radio in the pre-disco ’70s. It’s unclear why Daptone hasn’t snapped up Fields (his producer, songwriter and Big Crown co-owner Leon Michaels is associated with the label), but songs like the crisp funk of “Blessed with the Best” and the sweet, swaying ballad “You’re What’s Needed in My Life” fit seamlessly into that label’s overall approach. As the disc’s title implies, these are mostly love songs, not just to women, but to a higher spirit as in “God is Real” and “Love is the Answer.” Strings and horns infuse a sound similar to what you’d find on any edition of Rhino’s sadly deleted 20 volume Soul Hits of the ‘70’s series. The near mono mix injects a tough, rugged punch to the gut. And when the band hits a gutsy groove as on the thumping “Wake Up” as Field’s testifies that “Only the truth can set us free … Can I get a witness?” (bringing it current with a nod to “fake news”) it’s clear he’s as driven by this groove as any of his more legendary predecessors. Compliments also go to Michaels as producer. He not only crafts the organic, somewhat retro approach from behind the board, but as a multi-instrumentalist (credited with sax, piano, flute, piano, vibraphone and percussion) he keeps the arrangements from overwhelming Fields’ voice. 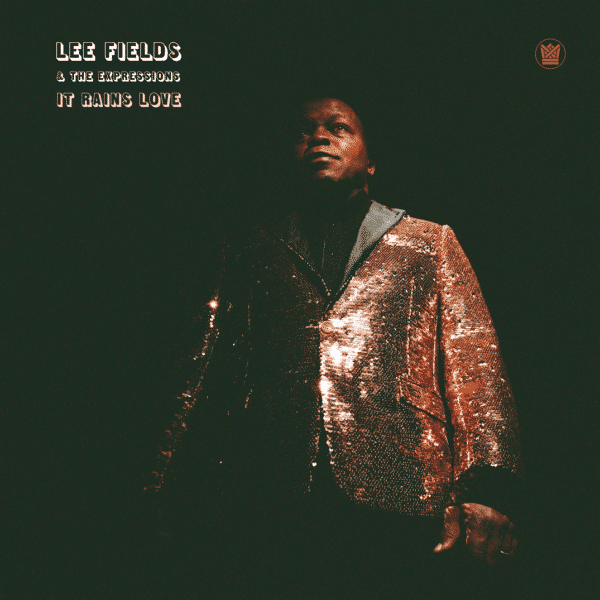 It has taken 50 years of performing on the fringes of the music business, but with the sumptuous It Rains Love, Lee Fields is seizing his moment by showering us with the sizzling sounds of pure, undiluted soul.